Hi! 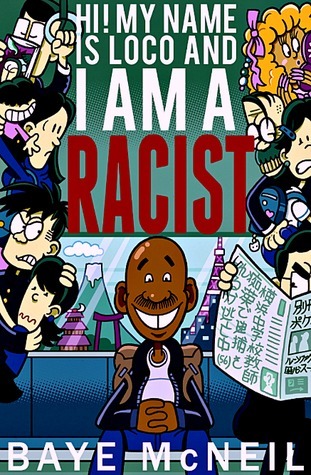 My Name is Loco and I am a Racist is part memoir, part social commentary written by fellow Japan resident Baye McNeil. He talks about his experiences ranging from his childhood in New York, his time in the Army, and teaching English in Japan. But throughout this book, there is one common theme: racism. He starts the book off with something most foreigners in Japan experience, the empty seat on a train. It’s quite obvious that the reason is that he’s a black man in the homogeneous Japanese culture. He returns to the empty seat several times throughout the book, sometimes as an enemy, sometimes as a friend. He talks about his experience with racism not only in Japan, but also growing up and living in pre-911 New York. But it’s not all about racism against him, it’s more about how he and everyone else in the world has some degree of racism within them. Everyone judges others in some way based on their race. I understand what he’s talking about, although his experiences are far more difficult than I’ve experienced. It all sounds very serious, but Baye uses a lot of humour in his writing. There are several conversations with a Japanese person throughout the book, many times humourous, but also perplexing. It shows how many people in Japan have such little experience with cultures outside Japan, they don’t understand a foreigner’s point of view. I found his childhood experience growing up in New York to be fascinating. 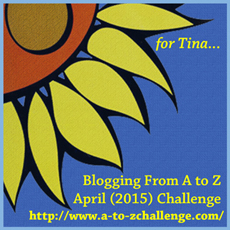 It’s totally outside of my own experiences that I found it engrossing. I learned a lot about life in 1980s New York City, at least his life. His writing made it vivid. I could picture everything he described, I felt like I was with him. I could sense his feelings during his childhood, his time in the Army, his experiences dating with someone of a different race, and most of all, Aiko. It was an emotional roller coaster. The writing style is pretty conversational, and he sometimes rambled on quite a bit. But it was natural sounding and very candid. I felt like he was opening himself up to anyone who reads this. You not only learn about him, but I think you also learn a bit about yourself while reading. It forces you to think about whether you are racist, even a tiny little bit. I would recommend this to a variety of people, those who live in Japan, those who are interested in racial relations, and those who enjoy autobiographies. It’s a great read, and a great debut book. Highly recommended. I’d give it 4.5 out of 5 stars.